Model home merchandising is the process by which a team of degreed interior designers will combine design elements, technology, and buyer demographics into the design of a model home, sales center, community center or clubhouse. Elements such as traffic patterns, room designation, focal points, color scheme, material selection, furniture, and buyer preferences are all taken into account in a sophisticated way to attract and close potential home buyers. New home communities should cater to your target buyer by providing the right location, amenities, and price point. These are the foundation for a successful community, but to close the deal with the buyer it’s critical that the model home should reflect the design aesthetics of that buyer and create memory points they can easily see themselves creating within that home. For example, when designing a model for the 55+ home buyer it’s important to showcase multi-purpose and flex areas. A home office can moonlight as a bedroom when grandchildren come to visit, while the kitchen can host guests but doesn’t feel too overwhelming when it’s just two people. 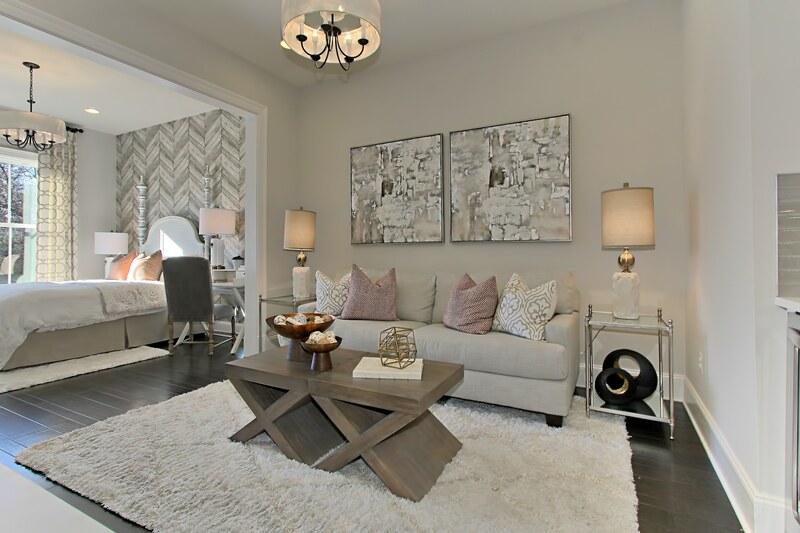 These concerns and needs are different than let’s say, the first time home buyer, which is why it’s critical that the interior design of the model reflects the desires of the target buyer. Renderings, drawings and mock-ups only go so far when selling a home, which is why it’s critical that communities which are still under construction need to have a model home on site even if nothing else is constructed. 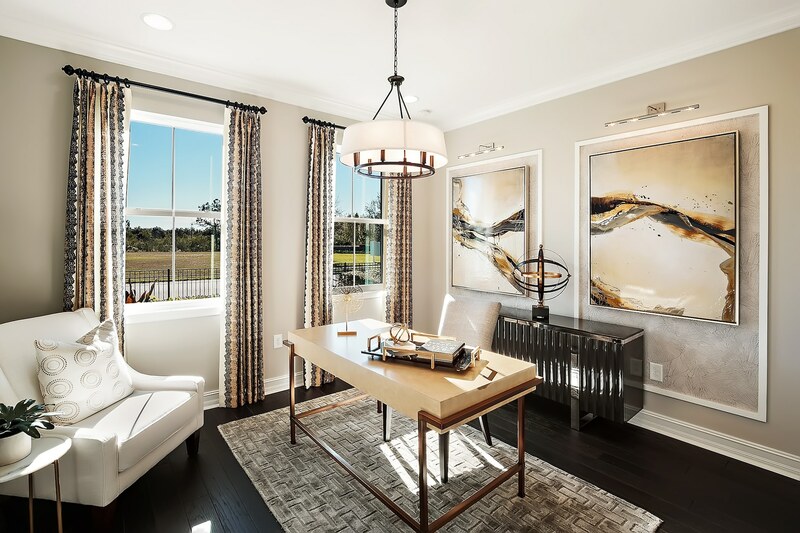 Since the model home is often the only indication of the overall community look/feel, great care should be taken in its interior design and spatial planning to make it feel move-in ready for the potential buyer. Under construction communities also offer the ability to make changes during the buying process, often providing various upgrades and features. 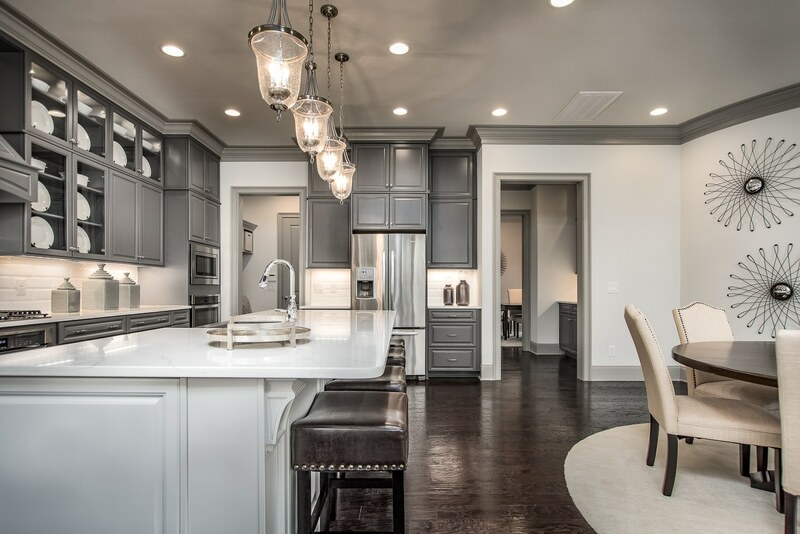 A model home is a great selling tool in in which to showcase all that could be in the buyer’s dream home – the interior finishes and attention to detail can easily make those added upgrades pop and more desirable when merchandised correctly. Seeing is believing (and buying!) and there is no better way to attract a potential home buyer than with an elegantly designed model with a move-in-ready feel that makes a “new house” their “new home”. No matter how well constructed four walls and a floor are, the home will not come together in the buyer’s mind until they can see how furniture and accessories can be incorporated into the home. This means curating unique furniture and décor for each room, making the room feel larger and showcasing the possibility. It also means adding flare and creativity to the space to help the buyer envision their livability and level of comfort within the home. There is no denying the community amenities can be a significant selling point for the targeted buyer. Clubhouses, pools, playgrounds, and other community features are often a determining factor as to whether or not live in a community. 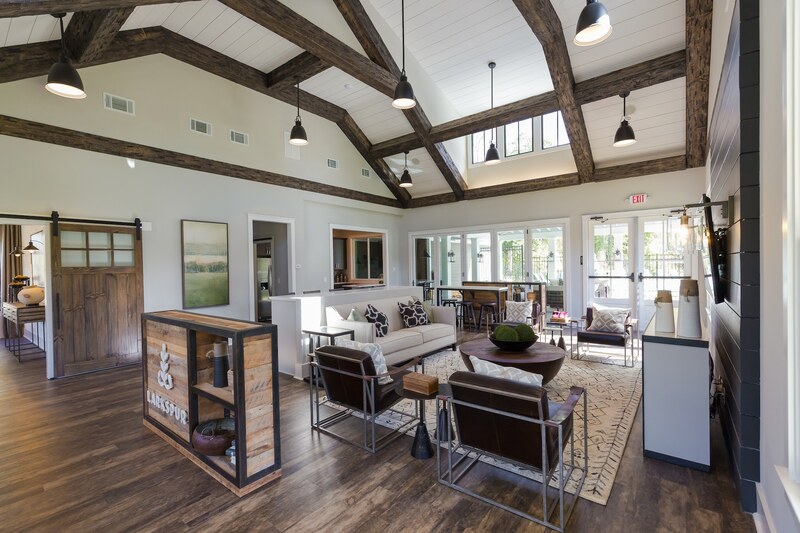 Beyond model home design, more and more builders are leaning on interior design specialists to also design their clubhouses, tennis centers, or community areas. These spaces are often neglected, and yet they can be a major selling point to showcase a “day in the life”. Take care in designing these spaces because it is reflection of the overall community and can often be the tipping point for a buyer – choose comfortable seating, maximize flex spaces with coffee bars, tech stations, and event space; and style the room with unique pieces that can serve as a conversation starter. Smaller square footage homes and condos don’t constitute to skimp out on the design aesthetic, even if the smaller footprint can be hard to work with. It’s all about spatial planning and creating an illusion of a bigger space, and that could mean foregoing traditional pieces or selecting appropriate paint colors. 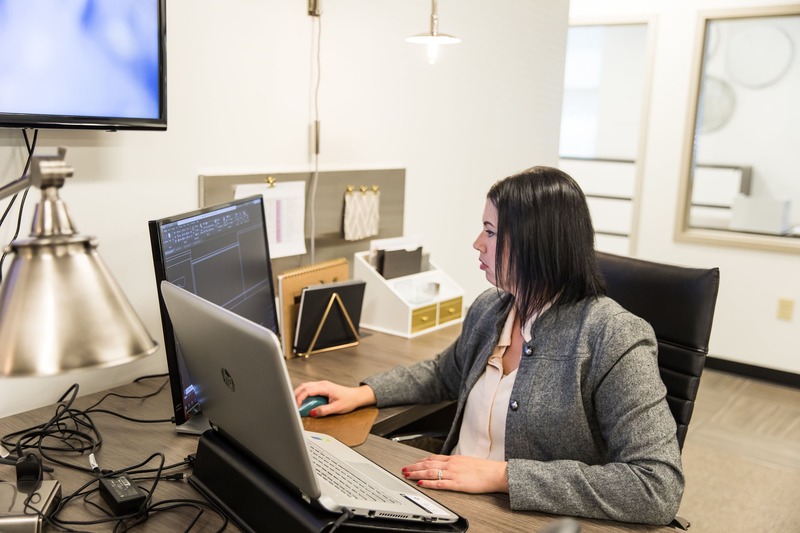 An interior designer with the correct software can understand the layout of the space and actually make purchases of furniture and other accessories that are the perfect size for the space or serve dual purposes and maximize storage. This will give the space a larger feel, while also showing the potential buyer how much personality can be added in a smaller footprint. Don’t relegate the interior design to someone who isn’t qualified. The cost of choosing the right model home merchandising firm is well worth the investment in faster home sales, increase up-sell for premium features, and better buyer engagement. A degreed interior designer will understand how to work in various design programs and will be trained in understanding how to bring together the market psychographics of the targeted buyer with the design elements, color scheme and furniture of the model home. All of these factors are key drivers to selling your homes faster and to the right buyers.